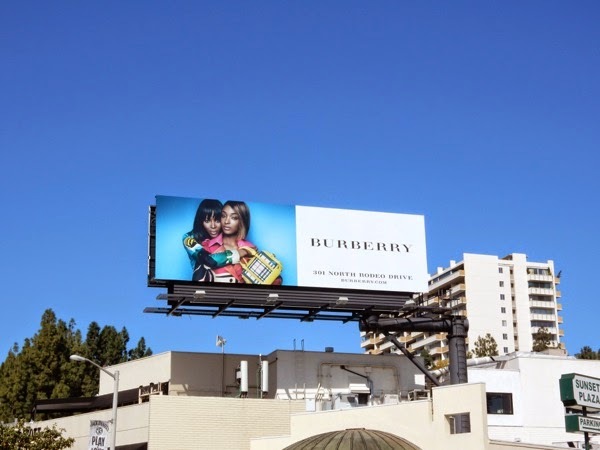 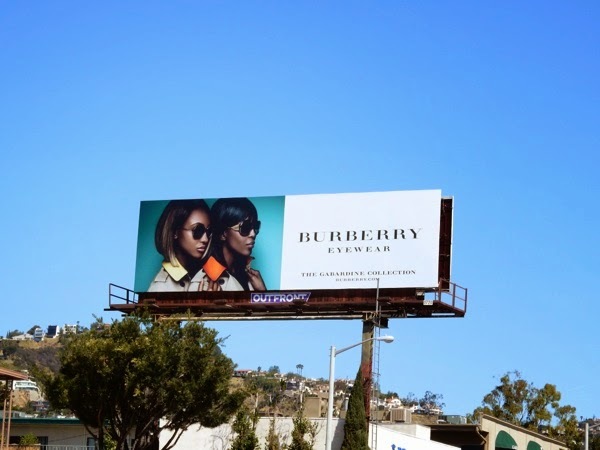 Iconic luxury British designer fashion house Burberry certainly wants to be noticed in the skies of Los Angeles this Spring season, with a smattering of stylish billboards lining the busy Sunset Boulevard and surrounding area. 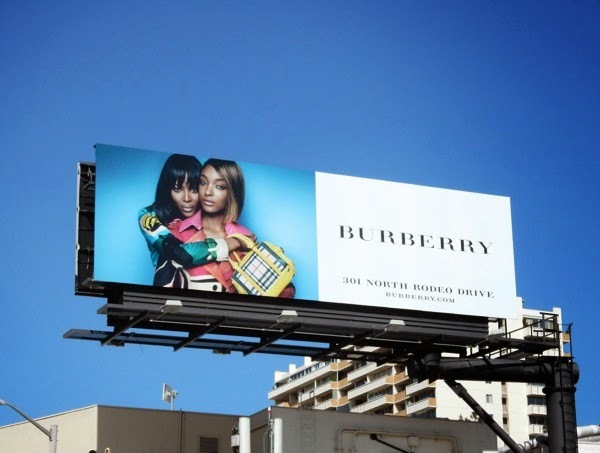 Helping to turn heads is supermodel Naomi Campbell, being best buds with her younger counterpart Jourdan Dunn, wearing Burberry's vibrant new Spring/Summer 2015 looks in an ad campaign shot by the infamous photographer, Mario Testino. 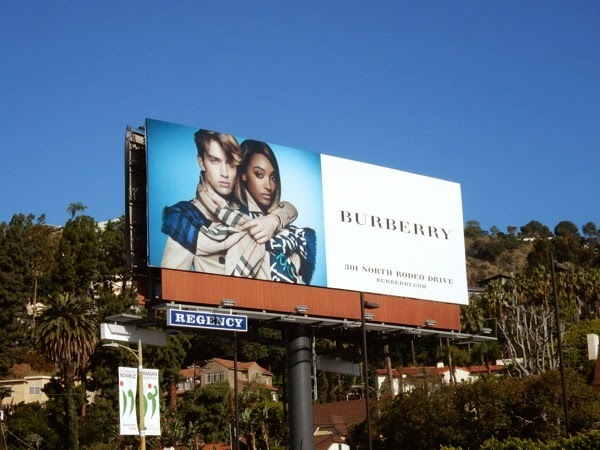 Also sharing the spotlight with Jourdan Dunn is male model George Le Page in the fashion brand's timeless signature trench and tartan designs. 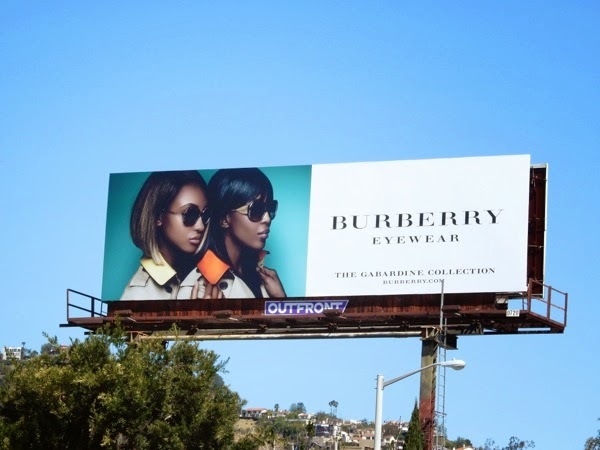 Naomi Campbell and her modern day catwalk protége are also the flawless faces of Burberry Eyewear's Garbadine Collection (sunglasses are always in vogue in L.A.), inspired by the fabric invented by Thomas Burberry and the original material or the iconic trench coat. 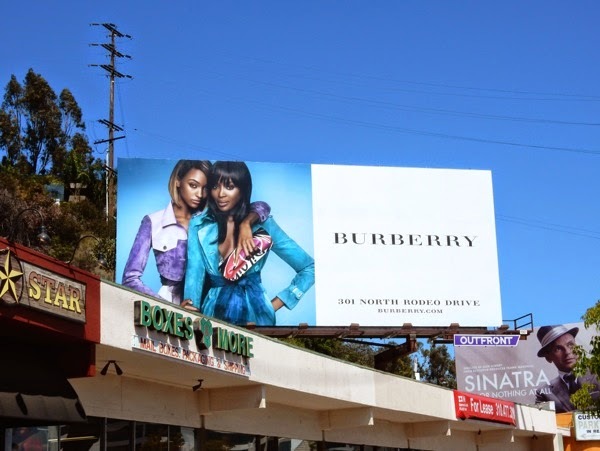 This chic clutch creative with the modeling duo was first snapped above West Hollywood's Sunset Plaza in the New Year on January 6, whilst the latest billboards have been photographed in same location and multiple ad sites along Sunset Boulevard from April 2 to April 8, 2015, including the eyewear creative spotted along Fairfax Avenue. 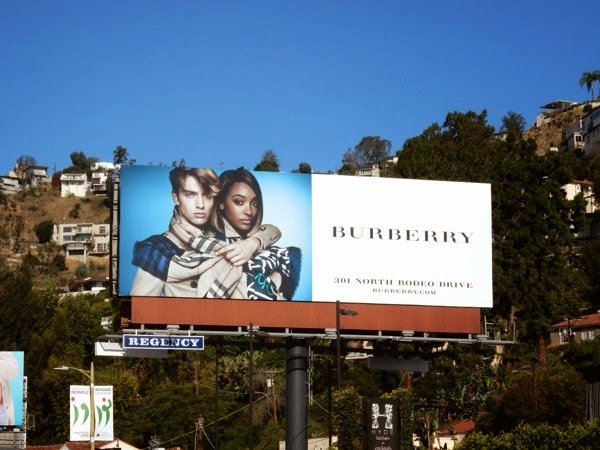 If you're a fan of the designer fashion label, be sure to check out all these other Burberry fashion and fragrance billboards from seasons past. 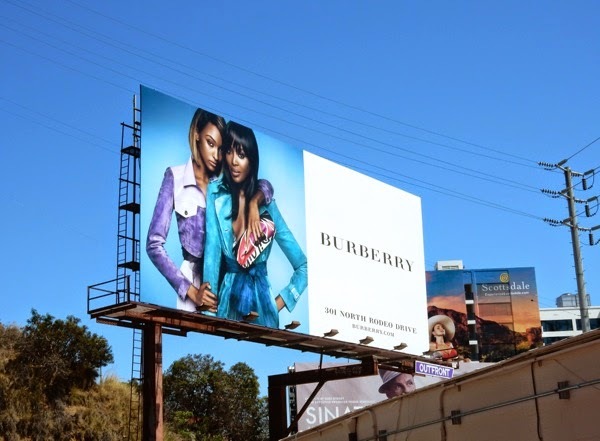 For more stylish creatives, be sure to enjoy all the different fashion outdoor ad campaigns here at Daily Billboard. 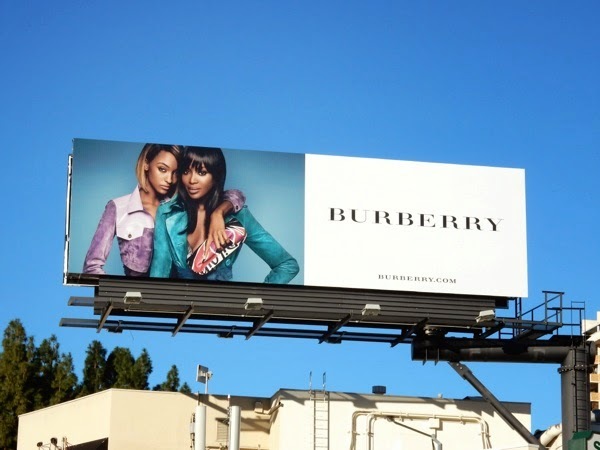 Now have these colourful fashion billboards left you wanting to refresh your wardrobe for Spring?